Our technical support team can assist you should you have any questions about your American Standard humidifier or American Standard air cleaner. 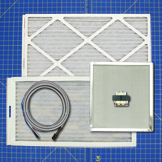 Order from the source of American Standard humidifiers and air cleaner filters and parts just like the contractors do. 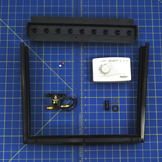 You will find on-line owners manuals as well as exploded views of your model on its associated humidifier parts page. American Standard air cleaner filter media must be replaced two times per year if you have heating and air conditioning or once per year if you only have heating. Remember to replace your American Standard humidifier filter or humidifier pad at least once per year for optimal operation.